I have been skiing at resorts since I was a little girl, and this is now my third season of backcountry. Backcountry skiing (or off-piste skiing) by definition is skiing in the backcountry on unmarked or unpatrolled areas, outside of a ski-resort’s boundaries. Disclaimer: I am no expert, but I do have some tips for how people can get started with venturing away from resorts and into the backcountry. This sport offers not only superb powder almost all the time, but it gives you freedom from the ropes and rules of ski resorts to explore anywhere your heart desires. 1. First of all, ask yourself whether you’re actually ready for it. Yes, there is the lure of soft, untouched powder, the holy grail for skiers. Yes, you can gain a sense of exploration that no resort can ever offer. But backcountry skiing poses a lot more risks than resort riding. Plus it requires additional skills, such as strong skiing abilities, physical fitness for the (sometimes gruelling) uphill portions, and the mental fortitude to make tough decisions out there. Always be wary that people die doing it every year, for a variety of reasons, not just limited to avalanches. 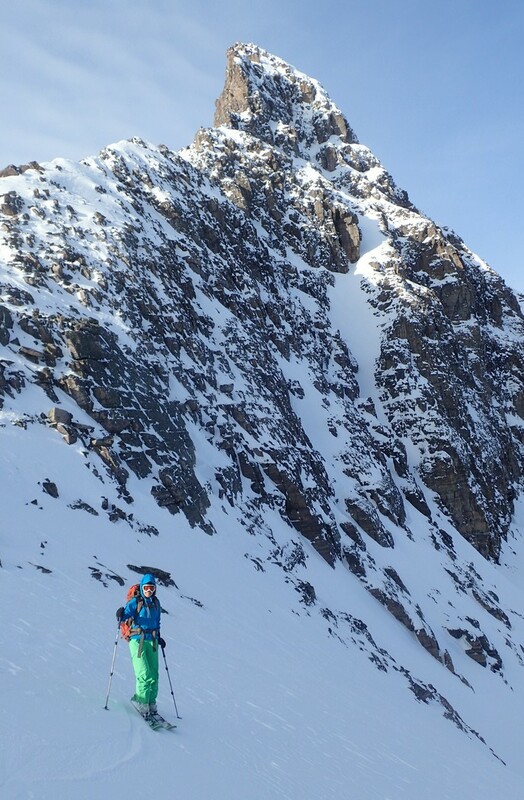 Backcountry skiing sounds like a lot of fun, and it is worth it, but you have to be sure you are ready to take that leap. 2. Register for an avalanche safety course, or two. Nobody is going to go backcountry skiing with you if you don’t know the basics. Knowledge is power. 3. Find people to go with. Ask other skiers you know, join an online community, or meet people at your avalanche safety course. Do not consider going out into the backcountry alone as a beginner. 4. Purchase the safety gear – you need to own your own beacon, shovel and probe, at minimum. You can usually rent these things, as well, if you’re not able to buy them right away. There are plenty of other safety tools you can get, in addition, such as avalanche air-bags and GPS locator beacons. 4.A. Know how to use the safety gear! Whether it’s rented or newly purchased, be sure you have practised operating your beacon, shovel and probe. If you are in the backcountry and there is still store plastic around your probe, I am going to yell at you. 5. Get even more gear. Purchase or rent alpine touring skis, boots, bindings, poles, backpack and climbing skins (or a splitboard setup if you are a snowboarder). If you don’t know how to use the technical gear – ask someone at the shop to show you! Additionally, you’ll want to think about your clothing layers, first aid supplies, helmet, goggles, snacks and hydration. 6. Before you head out, always check on local avalanche conditions, which are posted on websites such aswww.avalanche.org or www.avalanche.ca. Make an informed decision about whether or not you should actually head out into that backcountry that day. Current conditions should always impact your decision on where to ski that day, as well. 7. Choose a place to ski. Do some research on your local area, including popular, safe spots for beginners. For most areas there are great websites, online message boards and even books you can purchase which are full of suggestions. It’s also a great idea to consider hiring a mountain guide from a local guiding company to take you out to terrain you’re unfamiliar with. 8. Tell someone reliable where you are going, and how long you expect to be gone for. Also supply them with phone numbers for emergency contact services, so they know who to call if you don’t come back when you said you would. 9. Be careful, and have fun! While you are out there, definitely enjoy yourself, but always keep your brain on, and make conservative choices that suit your skill level. Communicate with your group about how you are feeling, and ask as many questions as you can. Never be ashamed to turn back if you are not comfortable with conditions or terrain choices. Now get out there and enjoy all that fluffy, fantastic powder! Recreational skier, climber, endurance runner and trekker. Full-time adventurer.